Fantastic new build bungalows in Daya Nueva close to Guardamar del Segura, Ciudad Quesada and Benijofar. These 2-bedroom, 2-bathroom terraced bungalows come with its own splash pool and private solarium. As you enter the property you immediately notice the light, airy feel in the spacious living-dining area due to the high ceiling and the high window above the kitchen area, this floods the living room with light. The fitted kitchen is divided from the rest of the living space by a peninsula worktop, clearly defining the two areas. Next to the kitchen is a small room housing the water heater, washing machine and additional storage. The master bedroom to the front of the property has a walk-through dressing room leading to its generous en-suite bathroom which has a large walk-in shower and suspended furniture. The second bedroom lies at the rear of the property and has a door to a small patio which is also accessible from the kitchen. Both bedrooms have fitted wardrobes. From this rear patio there is access to the storage room under the stairs that lead up the roof terrace. Because of the glass railing you have an endless view on the environment. The bungalow is fitted with a central hot and cold air-conditioning system. The toilets are suspended from the wall and the cabinets under the washbasins will also be wall mounted; shower screens are fitted to both walk-in showers. 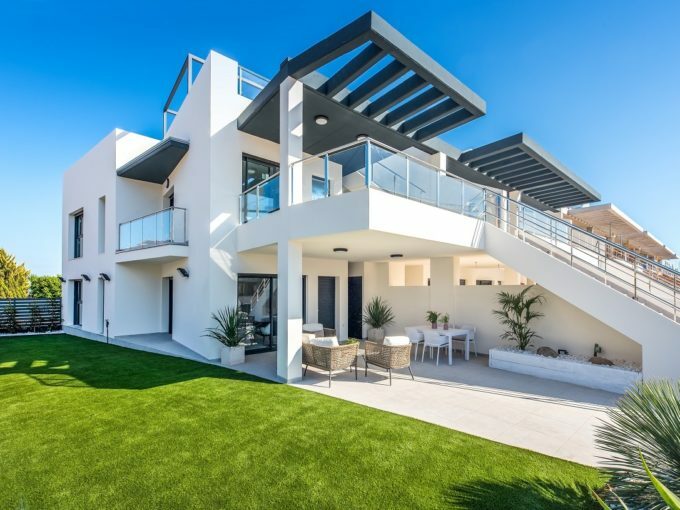 Optional extras include; underfloor heating, water and electricity points on the roof terraces, outdoor kitchen on the roof terraces, pre-installation for a jacuzzi, an additional third bedroom upstairs and many more. Daya Nueva is a quiet little traditional Spanish town with cafés and bars, restaurants and shops. 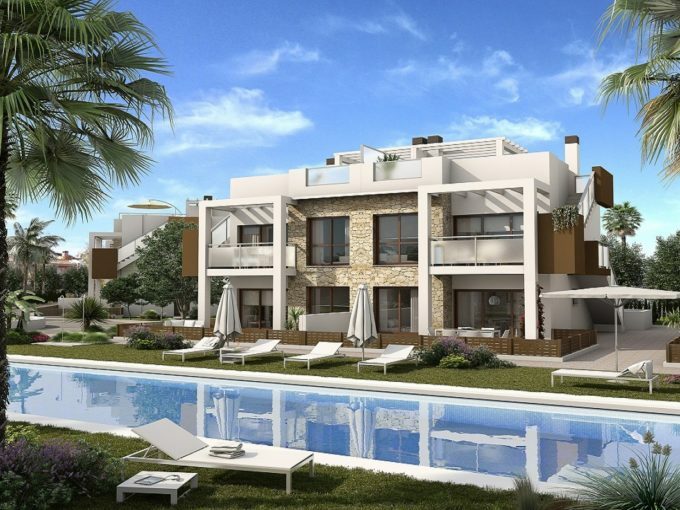 It is well located close to Almoradí, Ciudad Quesada and Benijofar where you can find a more relaxed pace of life, a greater selection of facilities and bigger shopping centres. It is a 15 minutes’ drive to the beaches of Guardamar del Segura. Alicante airport is 30 minutes away. 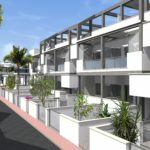 Very last new build holiday homes for sale in Playa Flamenca, La Florida, Orihuela Costa. 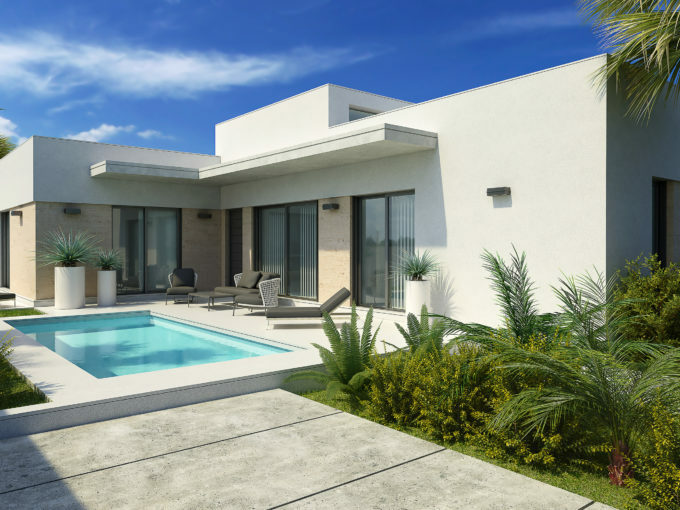 Smart contemporary new build villas for sale with a warm Mediterranean touch in Los Montesinos.